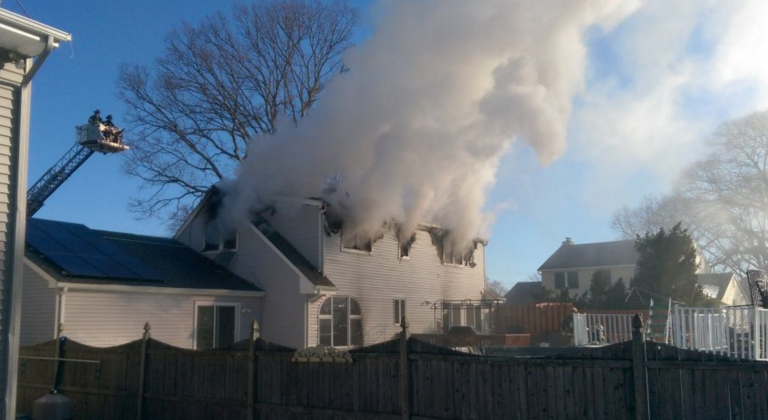 Firefighters battled a residential blaze this morning in Point Pleasant Borough. The fire on Miller Road near the Frances Drive intersection broke out around 9 a.m., according to emergency radio transmissions. Firefighters reported heavy fire through the roof and subsequently were ordered out of the structure due to adverse conditions, the transmissions said. There were no injuries, officials said, adding that the house suffered significant damage. Click here to watch a video from the scene of heavy smoke rising from the structure and the moment firefighters were ordered to evacuate. Miller Road is located off Beaver Dam Road near Route 88.